Amazing Functions: Read diagnostic trouble codes and display their meaning, clear trouble codes, turn off the MIL ("Check Engine" light), display current sensor data. 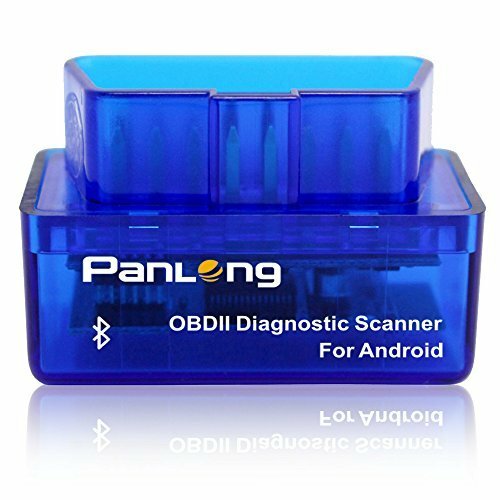 This code reader helps to find out why your check engine light is on before visiting a mechanic - save money by fixing simple problems yourself! Support Cars: Work with 1996 and newer gasoline vehicles (Not for diesel, hybrid and trucks with 24V voltage) that are OBD2 compliant including but not limited to Volkswagen, GM, Chevrolet, Honda, TOYOTA, Mazda, Ford, Dodge, Peugeot, Subaru, Citroen, BMW, Audi, Skoda, Subaru, Hyundai, Kia, Suzuki, Opel, Chyrysler, Benz, Porsche, Renault, Fiat, Mitsubishi, Isuzu, Daihatsu, etc. If you have any questions about this product by Panlong, contact us by completing and submitting the form below. If you are looking for a specif part number, please include it with your message.